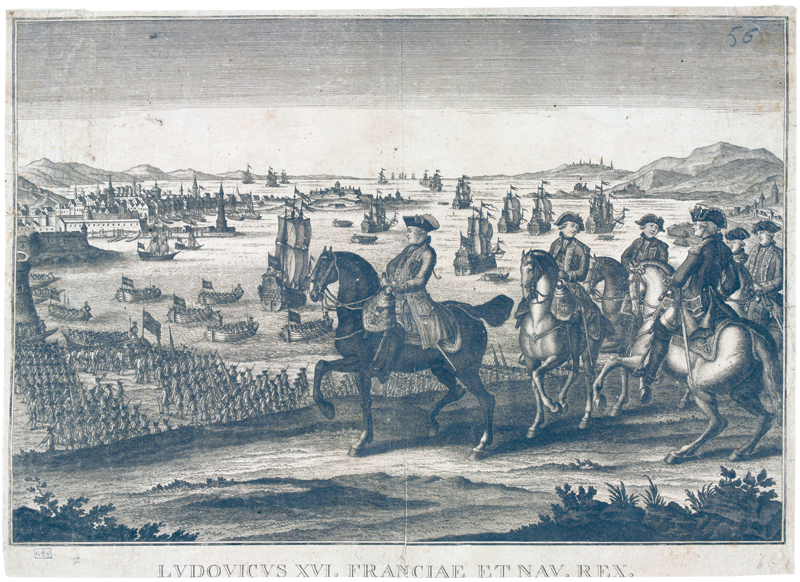 King Louis XVI of France and Navarre watching troops embarking to fight in the American War of Independence. © Paris – Musée de l’Armée, dist. RMN-GP. Émilie Cambier. The Independence of the United States. LaThe signature of the Treaty of Paris on 10 February 1763 between the kingdoms of Great Britain, Prussia on one side and France, Austria, Russia, Sweden and Spain on the other formally ended Seven Years’ War also known as the French and Indian War (1754-1763). Although victorious, the British Crown was left with a considerable debt. Following the extreme shortage of money, the British Parliament passed several laws regulating taxes in the American colonies. By 1775, these measures had sparked widespread protest and opposition in the Thirteen Colonies. White colonists from Britain and other European countries, African Americans – slave and free – and Native American Indians revolted against the British government. Petitions intended to reach a resolution addressed to the British Crown by the representatives of the United Colonies of North America proved unsuccessful. In June 1775, the Declaration by the Representatives […] Setting Forth the Causes and Necessity of Their Taking Up Arms was issued during the Second Continental Congress at Philadelphia naming George Washington (1732-1799) Commander-in-Chief of the new Continental Army. On 4 July 1776, the Second Continental Congress adopted the Declaration of Independence of the Thirteen United States of America. 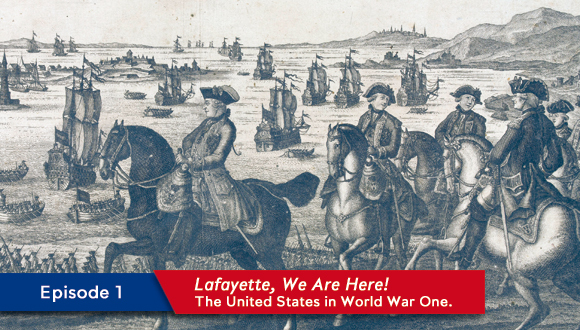 The French in the American War of Independence. 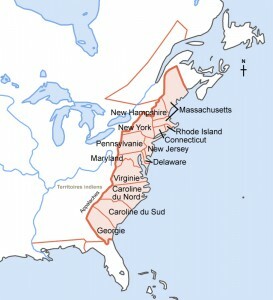 Map of the Thirteen Colonies. Lawmakers of the Continental Congress at Philadelphia considered external help essential. They turned to France, a country that had suffered a terrible humiliating defeat following the Seven Years’ War and that could easily be motivated to bring its support to the Thirteen Colonies. During the year 1776, France discreetly delivered weapons to the insurgents. 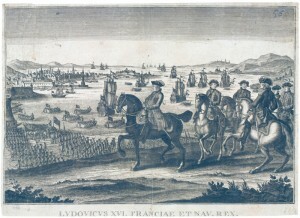 Following the Patriots’ overwhelming victory against the British at Saratoga on 7 October 1777, King Louis XVI realized that the American insurgents could actually win the war against Great Britain. On 17 December 1777, the French king formally recognized the sovereignty of the Thirteen United States of America. 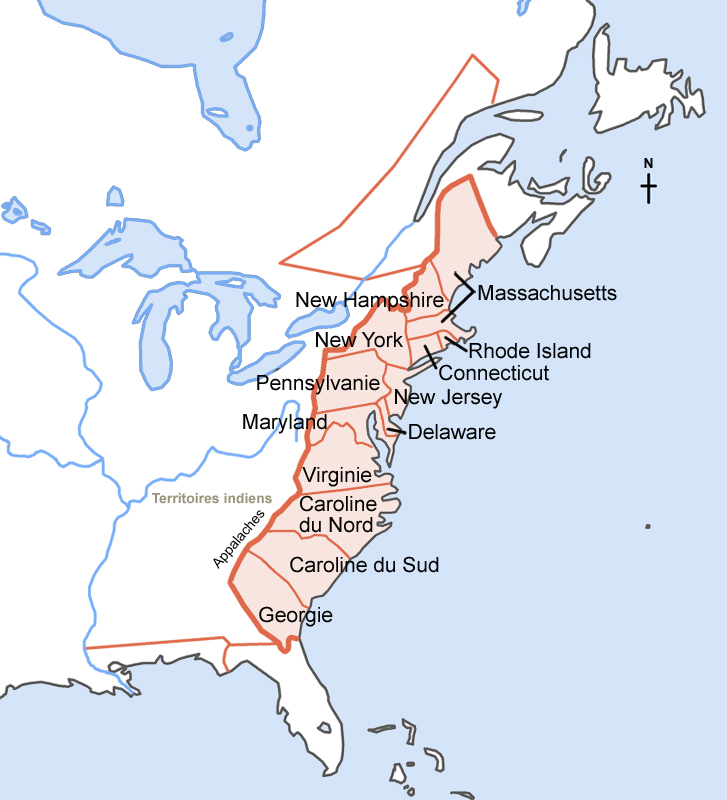 Following negotiations, two Franco-American treaties were signed on 6 February 1778: the Treaty of Amity and Commerce Between the United States and France and the Franco-American Treaty also referred to the Treaty of Alliance with France, a military treaty initially kept secret.